Want to create massive factories or giant power plants? No time for wands and wizardry? This mod pack is for you. All tech no magic. Tech World 2 is a technology-oriented version of the FTB pack. Like Tech World 2? Play the GigaTech mod pack. Construct factories, work magic, go to space. So much to do along with classic mods like Industrial Craft 3, Buildcraft 3, Thaumcraft and much more! 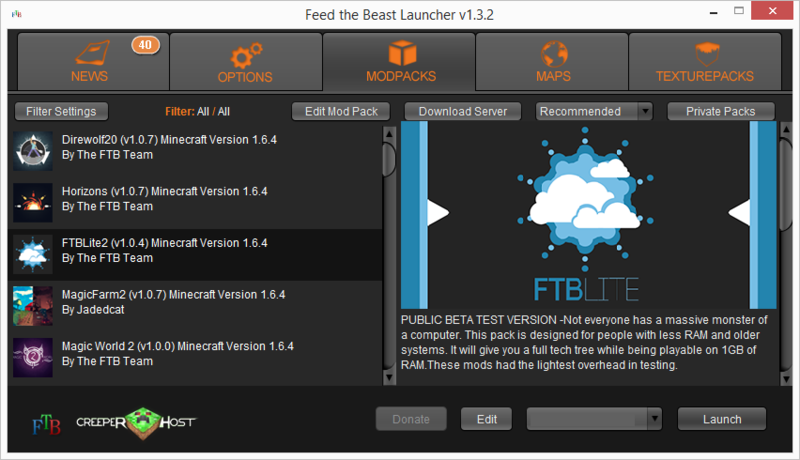 The Feed the Beast Launcher requires Java! Done! You can now player singleplayer Tech World 2 or multiplayer Tech World 2. That's it! You have successfully installed Tech World 2 and can now launch it.